Nothing like being naughty and not getting away with it! Hmm, toxic bachelor? Irritable male syndrome? The last one sounds like H – on a good day! It’s coming… and I’ve got a big treat for you fans of historical romantic fiction tomorrow with lots of other goodies coming before Christmas. 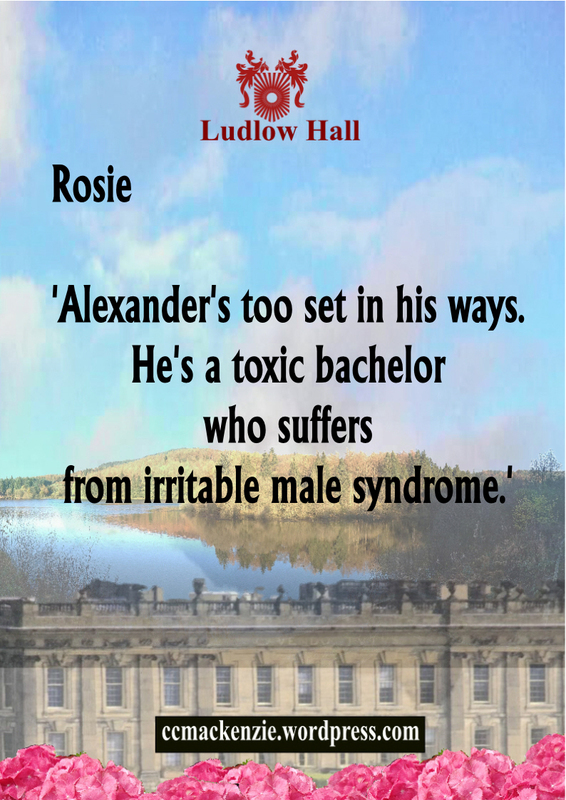 This entry was posted in RUN ROSIE RUN and tagged A Stormy Spring, C C MacKenzie, comtemporary romance, entertainment, Ludlow Hall Series, Reckless Nights in Rome, Run Rosie Run, Sound bite by CC MacKenzie. Bookmark the permalink.